To get from Mawlyamine to Hpa'an you have two choices. You can either take a bus for about two hours or get on a boat to go up the river Salween to Hpa'an. The official ferry only runs twice a week on Monday and Friday, but since we wanted to leave on a Tuesday, so we rented a smaller boat from the Breeze Guesthouse (the same place we got our bikes from the day before).. They have a very prominent though very informal sign printed in simple font on white paper - no official stamps - stating that they can legally provide boat transport from Mawlyamine to Hpa'an. Admittedly dodgy. The ride was about 3 hours of peaceful motoring on the wide muddy river. In the distance we could just see the limestone mountains that surround Hpa'an, standing straight up from the flat river plain. 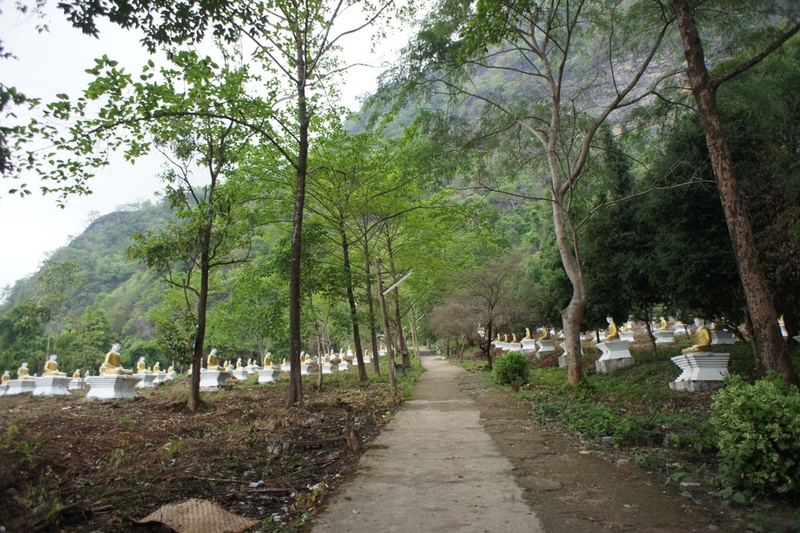 We passed pagodas carved into the river's edge, painted white and gold. The boat, we all decided, was a great decision. 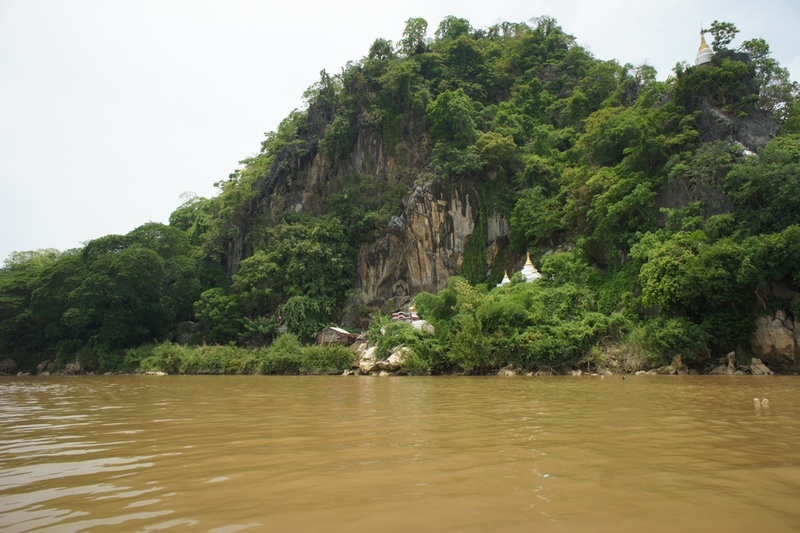 Hpa'an is a little town, buzzy with the normal activity of life, and not very geared to tourists. We started off looking for a place to stay at the Soe Brothers Guesthouse, heartily recommended by Lonely Planet. As Sue eloquently put it, if we were blind and in our twenties it might have been fine, but we are neither and frankly even in my twenties it would have been limit. Luckily Camilla and Sue found us the Parami Motel. Obviously it's not a motel, but their "penthouse" suit was clean, air conditioned, and at the top of 4 very tall flights of stairs. 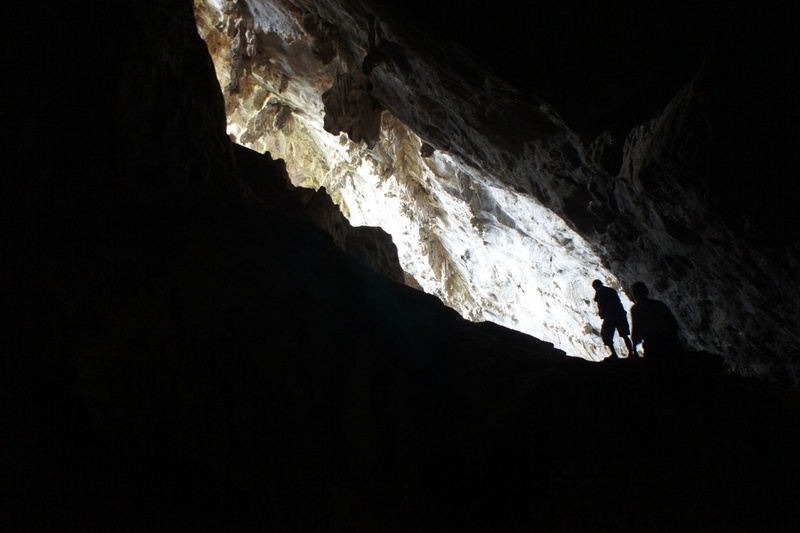 The draw of Hpa'an are a series of incredible caves-temples, a monastery perched on a rock inside a man-made lake, Mt Zwegabin and its 1000 buddhas, and our guide Mr Win who came to pick us up in his tuk-tuk, with a motorcycle that I think must have been 40 years old. A loud grinding of gears and off we where, bumping on the very hard benches down the potholed streets of Hpa'an. Mr Win was lovely and I would recommend his services to anyone who makes it to this town. 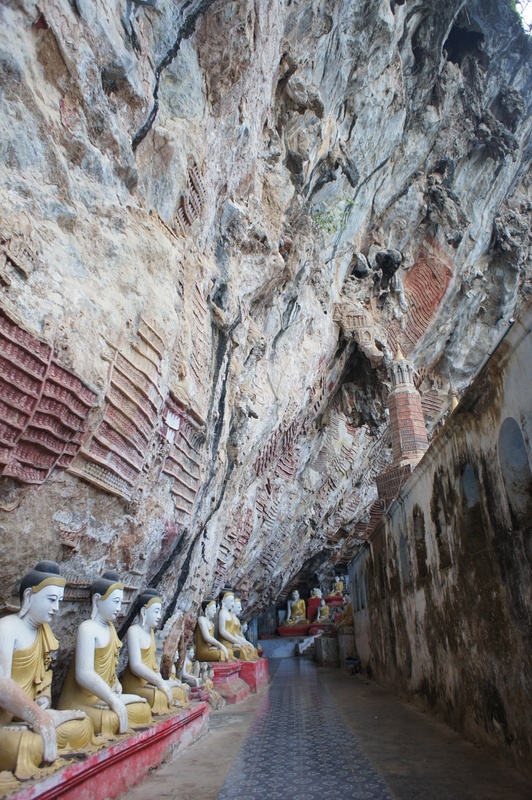 Several temples are located in the caves and tunnels that run throughout the limestone hills which surround the town. We didn't make it up Mt Zwegabin, the local holy mountain, because it would have taken us 4 hours we didn't have, but Mr Win did bring us to the field of a 1000 Buddhas at the base. The next day we woke up very early for the 7 am departure of our 7 hour bus ride back to Yangon. Before we got on the bus, Mr Win reappeared to buy is Bama Coffee and a local breakfast to see us off on out long drive (Bama coffee is, to the best of my understanding, Nescafé with a condensed milk in a small cup. It's delicious).